The original edition of this book, in 1988, presented a theology of sacraments that emerged out of a Church stirred into new life by the Second Vatican Council. It is a theology that can claim to have been continuously received in the Catholic Church since then. This new edition has the advantage of being able to look not only at the twenty years of reception of its contents, but also at the way some counter-currents have developed over those years, both in theory and in practice. The sacramental theology contained in this study maintains the broad on-going agreement between what it proposes and mainstream Church teaching and practice, it has, as a work of theology, to take seriously some of the alternatives. The book examines and documents the tradition of sacramental practice and teaching. Biblical and historical studies continue to uncover new riches of the tradition, and account is taken of recent findings in this new edition. A careful listening to the tradition of rite and word is truly indispensable for sacramental theology. It was out of such listening that Vatican II teaching on sacraments emerged. It was out of such listening that sacramental practice was reviewed by the Council, and provision was made for recovering the full richness of the tradition. The historical chapters will show the liturgies to be a contemporary expression of fidelity to core values of the Apostolic Tradition. 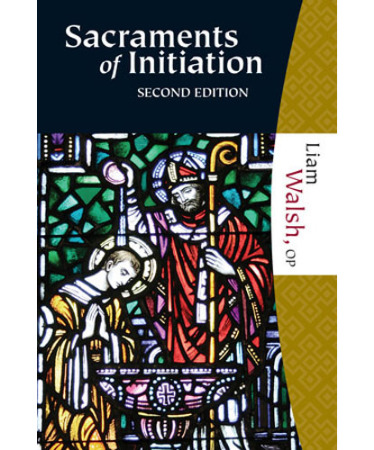 The chapters on the rite of each sacrament are mainly descriptive and historical, but they also include anthropological reflections that are meant to unveil the human significances of the various rites. Liam G. Walsh is a member of the Irish Dominican Province. He holds degrees in theology from St. Tallaght (Ireland), Le Saulchoir (France) and from the Angelicum (Rome).